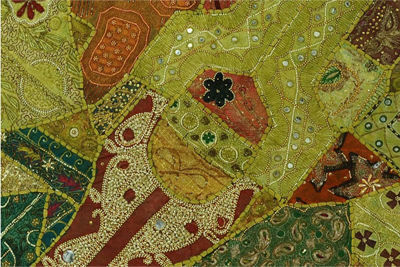 Mesmerizing and extraordinary one-of-a-kind large tapestries from Rajasthan, India These breathtaking works of textile art are truly unique and captivating. 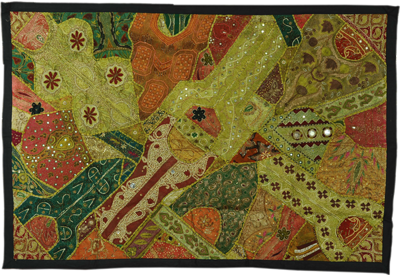 These can be used as wall hangings, decorative art pieces, or even as majestic bed covers or coverlets. 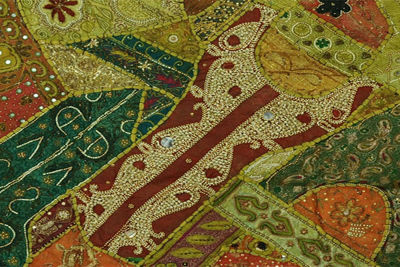 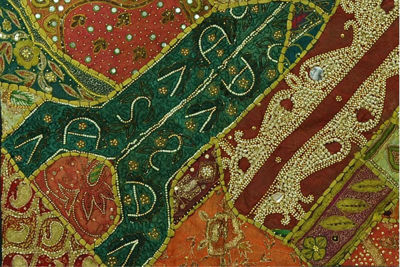 Large and breathtaking, the masterpieces in this section are entirely handmade from recycled antique and vintage saris and wedding gowns with traditional methods of embroidery! 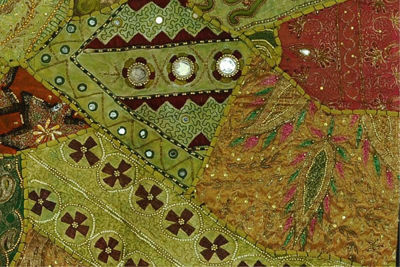 These items display marvelously intricate patterns and shapes covered with needlework, Zardosi embroidery, Kutch crochet, Gujarati mirror and sequin work and more! 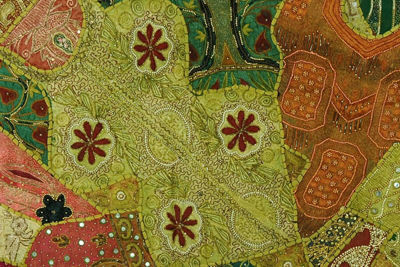 Add a huge dose of exotic decor to your home with a one-of-a-kind treasure from India!